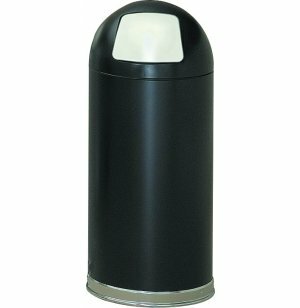 Dome-Top Trash Receptacle 15 gal. 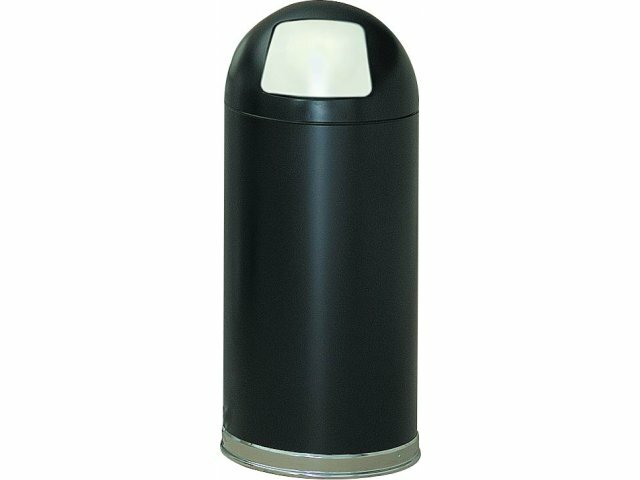 Sophistication, strength and great convenience all come together in this surprisingly attractive trash can from Witt Industries. It's the perfect solution for corporate offices, restaurants, reception areas or anywhere else where the details of design are important. 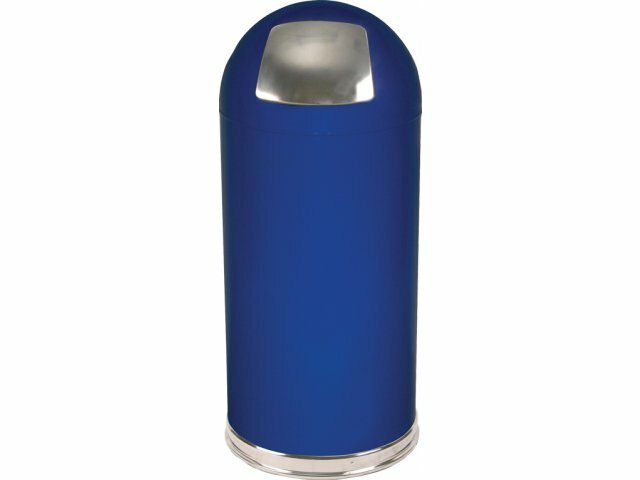 These dome-top trash receptacles feature a convenient self-closing push door for sanitary waste disposal effective odor control. The heavy-gauge steel shell is super-durable and fire safe, with a rolled-under stainless steel bottom to prevent floors from scratching. Galvanized steel liners protect the trash can interior from stains and grime and allow for extra-easy servicing. 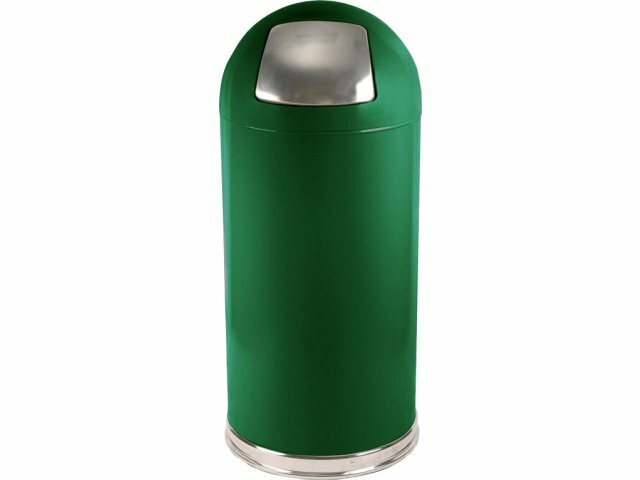 Available in a choice of three classic colors, these dome-top trash cans add a fine finishing touch to those places where the small things make a big difference. Sanitary Waste Disposal: Push-door allows for sanitary waste disposal and a more aesthetic feel. Odor Control: Self-closing door provides effective odor control and maintains a pleasant environment regardless of trash can contents.